Akshay Kumar’s boxing session with BSF woman soldier is a must watch! 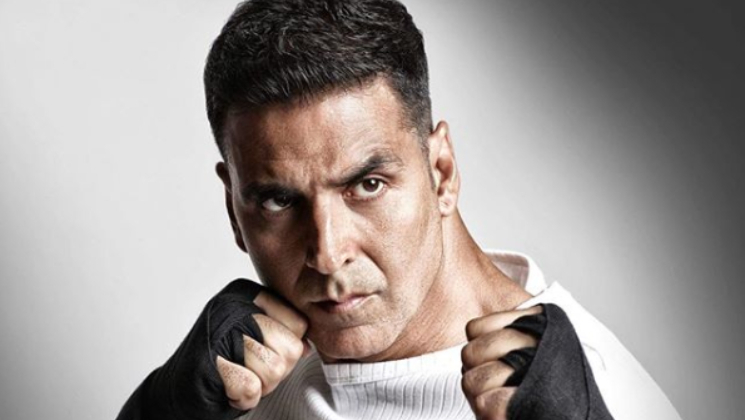 Home Bollywood News Akshay Kumar’s boxing session with BSF woman soldier is a must watch! Akshay Kumar is a unique Bollywood celebrity as he is still very humble and appreciates hardwork. The ‘ROWDY RATHORE‘ actor doesn’t take himself too seriously and has got a balanced approach towards life. Now, Akki is promoting ‘Kesari’ alongside co-star Parineeti Chopra. Earlier, Akki and Pari decided to spend a day with BSF (Border Security Force) jawans in Delhi. Dancing on the song ‘Sanu Kehndi’ from his upcoming flick, Akshay was seen having a lot of fun with the defense personnel. Such a nice and heartwarming moment, isn’t it? The actor is a staunch nationalist and respects armed forces a lot. Coming back to ‘Kesari’, the film revolves around the Battle of Saragarhi, a fight between 21 Sikh soldiers and 10,000 Afghan tribal warriors. Akshay Kumar going by the trailer has done a magnificent job and audiences are eagerly awaiting its release. ‘Kesari’ is written and directed by Anurag Singh. ‘Kesari’ is co-produced under Dharma Productions, Cape of Good Films, Zee Studios, and Azure Entertainment. The film will be releasing on the occasion of Holi i.e. March 21.